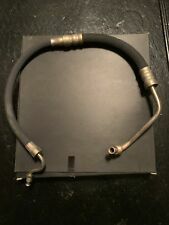 NOS Ford Power Steering Hose C1AA-3A713-D. 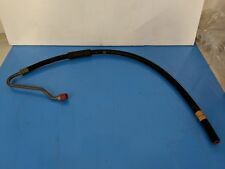 This is a new old stock International Parts Corporation Power Steering Pressure Hose Replacement for- 1960 Ford 8 Cyl 1960 Edsel 232 & 352 Part number- COAZ-3A-719-A IPC part number- 11748 These are high quality hoses you can’t find anymore. Made in the USA! Free Shipping! Check my other listings. We have thousands of New Old Stock hoses available. 1959 Ford Edsel Corsair. These are high quality hoses you can’t find anymore. Made in the USA! 1960 Edsel 223. 1960 Ford 6 Cyl. These are high quality hoses you can’t find anymore. Made in the USA! 1959 Ford Edsel Ranger. These are high quality hoses you can’t find anymore. Made in the USA! 1960 Edsel and Ford Custom,Galaxie,and Fairlane 6 cylinder. This high pressure power steering hose fits the following. Power Steering Seal Kit. Rarely Perfect. Though Nice n New. God Did Not Make Any of Them. "Gates Power Steering Pump Seal Kit -- GATES POWER STEERING SEAL KIT -- This power cylinder piston rod seal kit consists of components that are made of OEM quality materials.". Condition : New. Under NO circumstances will our liability exceed the amount of the original sale. Eaton power steering pump seal kit. JEEP WAGONEER 1971. JEEP J-4800 1971. JEEP J-4700 1971. JEEP J-4600 1971. JEEP J-4500 1971. JEEP J-3800 1971. JEEP J-2600 1971. Part #: 7168. You need to MOUSE OVER the left column to read the complete text. Trending at $13.02eBay determines this price through a machine learned model of the product's sale prices within the last 90 days. Part Number: 2710. Interchange Part Number : 7168, 351360, 35143, 2710, 220001, 750, 8401020. Part Numbers: 15001, 2-11005, 220001, 2710, 3040, 35136, 351360, 35137, 35143, 36-351360, 36A8007, 5-2710, 7168, 750, 8401020, M-2710.